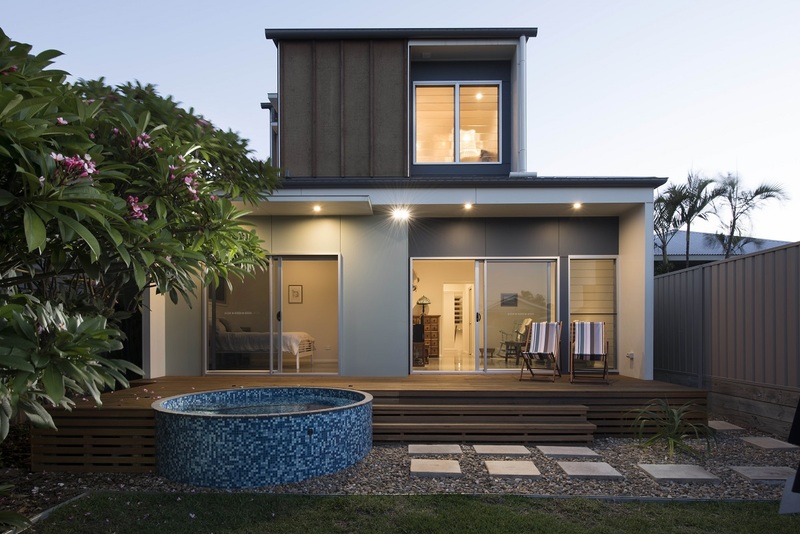 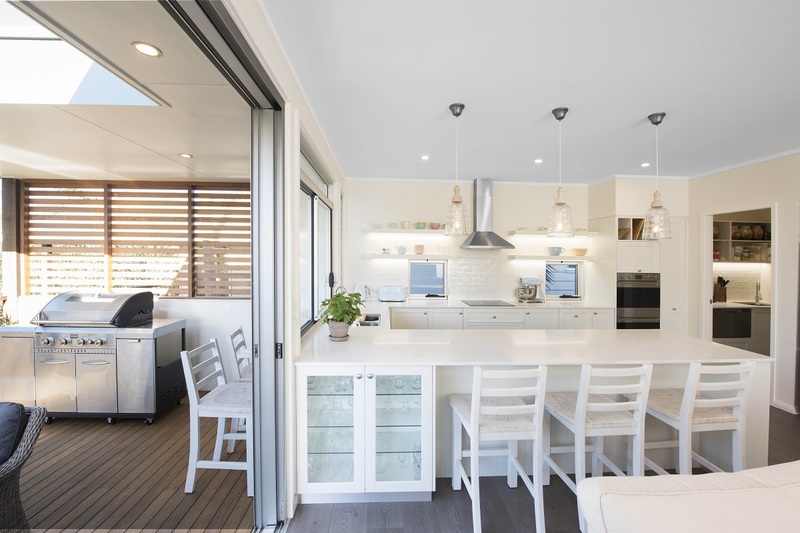 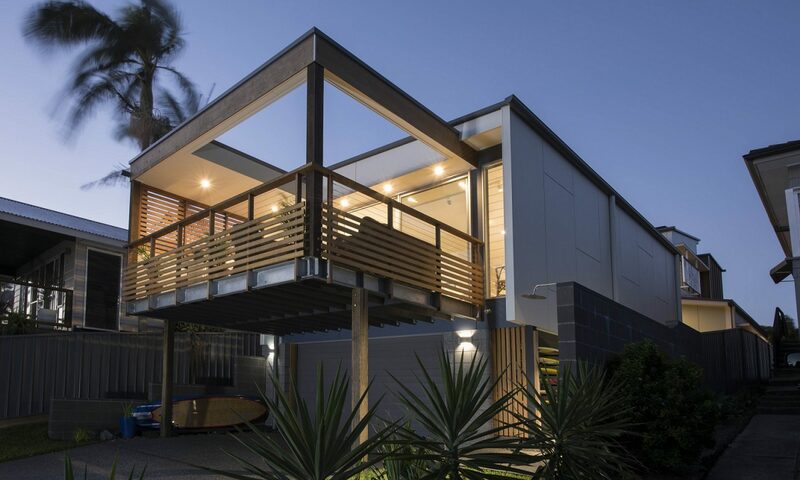 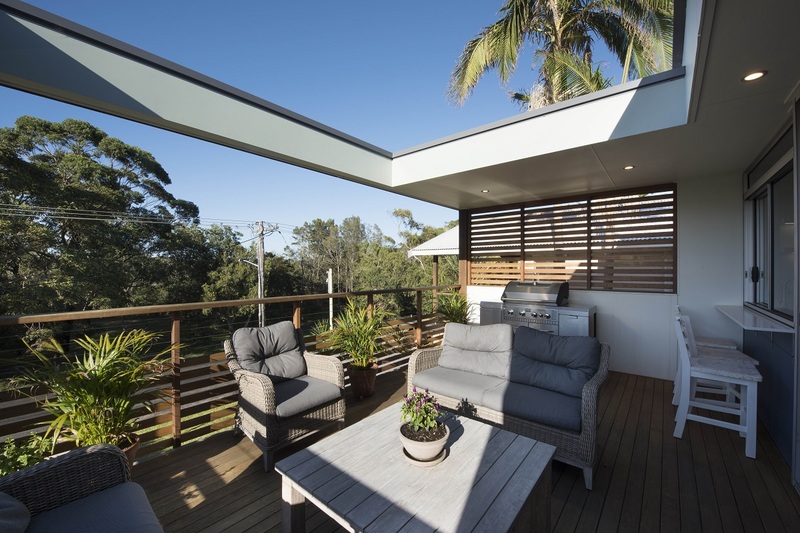 This contemporary house is designed for relaxed, easy, beachside living. 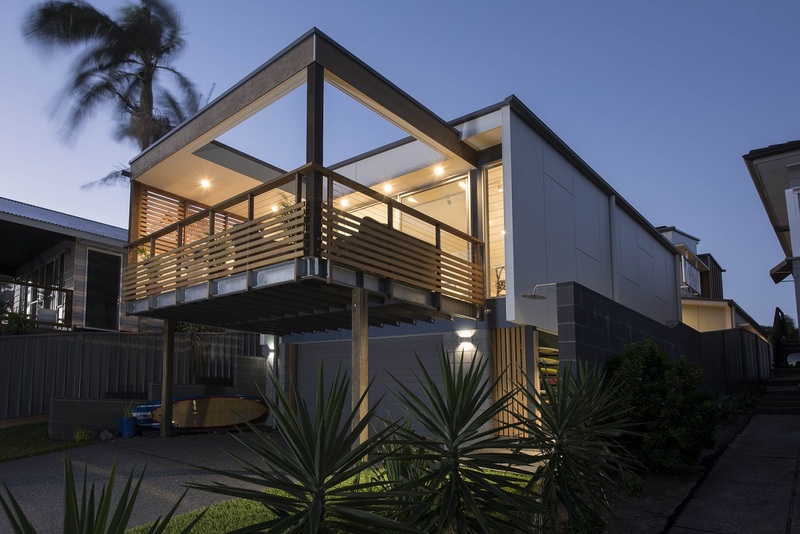 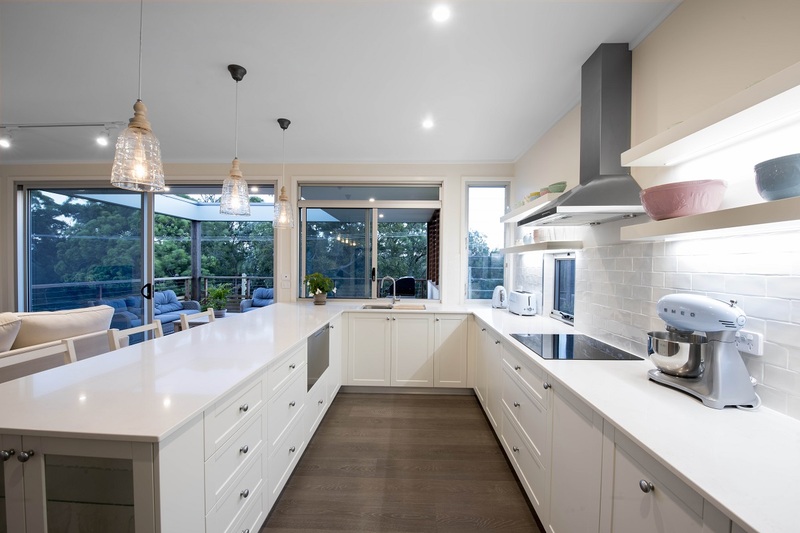 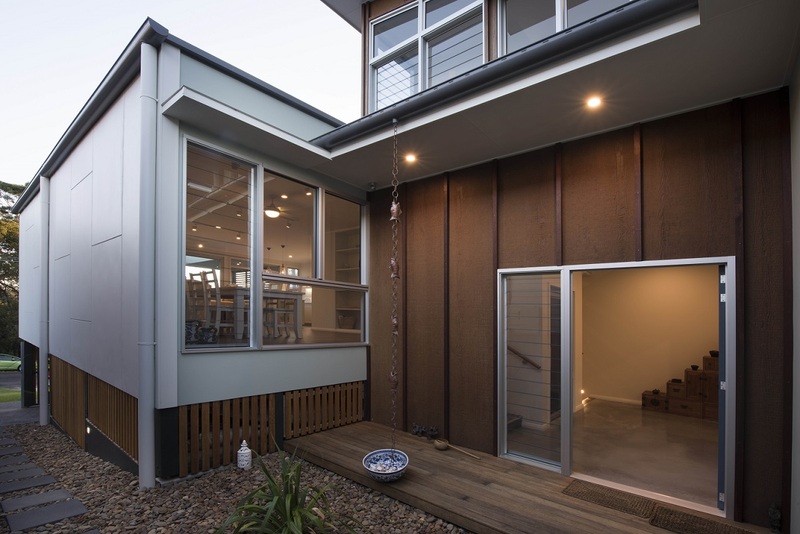 Designed over split levels in order to maximise views and air flow, the house features a master suite that captures extensive views of adjacent bushland and ocean beyond, mid-level, free flowing living spaces and an apartment style, semi-self contained family wing that flows out into the back yard. 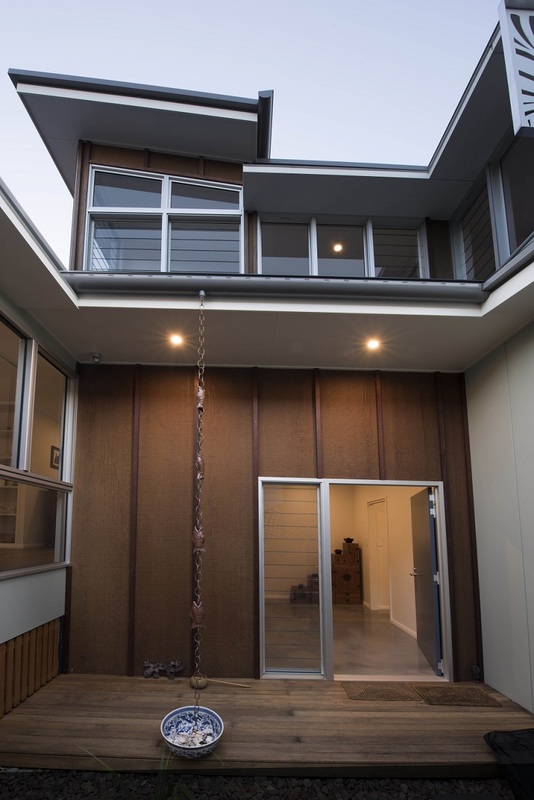 The house also incorporates a garage + ample storage for obligatory surf craft.